Around Iceland in 6 to 10 Days is the full circle tour in 6 or 10 days of natural wonders around the country. 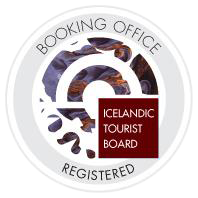 Taking in glaciers, waterfalls, geothermal fields, volcanic formations, historical sites and villages, as well as the rich vegetation of Iceland’s most fertile areas. You can combine all the most spectacular places with other opportunities in your driving program to realize the genuine “feel” for Iceland. Leave Reykjavik driving through the Borgarfjordur District to cross the Holtavorduheidi plateau to North Iceland. Passing Bru and Stadarskali tourist information centre on highway no. 1 to the hamlet Hvammstangi before drive to Varmahlid in Skagafjordur. Overnight in the area. Drive through the Skagafjordur District, famous for its horses and history. Ideal to stop at the Glaumbaer folk museum from 19th century, located near Sauðarkrokur. Then drive to Akureyri, the capital of the North. Overnight in Akureyri area. From Akureyri you continue to the Godafoss Waterfall and Lake Myvatn. Among the places at Myvatn, the volcanic formations of Dimmuborgir and Namaskard. Overnight in the area. The tour continues along the Tjornes peninsula via Husavik to the horseshoe shaped cliffs of Asbyrgi and Dettifoss, Europe’s mightiest waterfall. Continuing eastwards to Egilsstadir. Overnight stay in the area. Drive along the East coast through the mountainous landscapes to the fishing town Hofn. Then continue to the Jokulsarlon (Glacial Lagoon) before continuing to Skaftafell National Park at the foot at the mighty Oraefajokull, the highest peak of the country. Overnight in the area. Drive across the outwash plains past the hamlet Kirkjubaejarklaustur and Myrdalssandur, the vast desert, before reaching Vik, Iceland’s southernmost village. From Vik a drive to the waterfall Skogafoss, waterfall Seljalandsfoss. then continue through some of Iceland’s richest farmlands to Hveragerdi before continuing over plateau Hellisheidi to Reykjavik. Leave Reykjavik driving through the Borgarfjordur District to cross the Holtavorduheidi plateau to North Iceland. Passing Bru and Stadarskali tourist information centre on highway no. 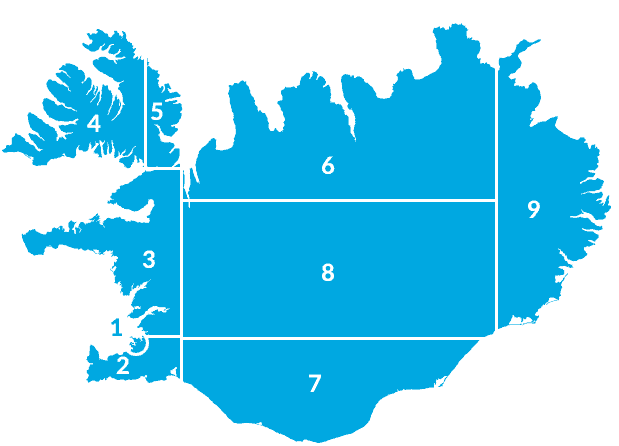 1 to the hamletVarmahlid in Skagafjordur. Overnight in the area. We suggest a drive along the bay Eyjafjordur to Olafsfjordur via Dalvik and the Akureyri surroundings. Overnight in the Akureyri area. The day is spent exploring the Lake Myvatn area which is especially interesting for bird watchers and the geologically inclined. Overnight in the Myvatn area. The day is spent exploring National Park Skaftafell in South Iceland and its surroundings. Overnight in the area. Drive across the outwash plains past the hamlet Kirkjubaejarklaustur and Myrdalssandur, the vast desert, before reaching Vik, Iceland’s southernmost village. We recommend a boat trip to the spectacular Reynisdrangar bird cliffs from Farm Dyrholar, a bit further west. Overnight in the area. From Vik a drive to the waterfall Skogafoss, then continue through some of Iceland’s richest farmlands to Gullfoss waterfall, Geysir area via Skalholt and hamlet Laugaras. Drive to Laugarvatn, then to Thingvellir National Park before continuing over plateau Mosfellsheidi to Reykjavik.